We are grateful to the Live Like Bella Foundation and the Thumbs Up for Lane Goodwin Childhood Cancer Foundation for co-funding our Lane-Bella Project, "towards a clinical trial of the VasG3 antibody in alveolar rhabdomyosarcoma". This work is not only supported by a very generous gift from National League Rookie of the Year, Jose Fernandez, but also by families that have been touched by rhabdomyosarcoma. Angie and Shannah will hold us accountable, and so check back frequently for project updates from Jinu & Charles in this blog entry! 12/31/2013: funding arrived! we are also filmed a short video to explain the project, to be available soon! 01/09/2014: while we wait for the internal university process for account setup, we have begun conversations with the pharma on antibody doses to use for initial studies. 01/17/2014: irb and iacuc approvals are in place so that the university account can be set up. 01/30/2014: requests for antibody sent to pharma partner. mice for studies ordered. 02/06/2014: mice for initial/pilot studies received. cells thawed for expansion - needed before implantation into mice. first experiment's plan reviewed with team. 02/13/2014: We have three human aRMS cell lines in culture for injection into immune-deficient mice. Rh41 is growing well and will be injected into mice early next week. Rh5 and PCB380 are taking time to recover from cryopreservation. See also the press release. 02/20/2014: Rh41 tumor cell innoculations done today. 02/27/2014: No new news. We are waiting for the Rh41 injected mice to grow tumors. 03/06/2014: As expected, still watchful waiting on Rh41 mice. 03/14/2014: Discussed studies with pharma company. more watchful waiting of Rh41 mice. Rh5 mouse studies initiated this week. 04/03/14: Rh41 xenografts beginning bear palpable masses. 04/10/2014: Rh41 latency confirmed; Rh5 latency studies still underway; stay tuned for a related publication announcement on Monday! 04/17/2014: Rh41 tumor growth rates in NSG mice has been determined & experiment ended. Rh5 beginning to form tumors. 04/24/2014: Rh5 xenografts progressing as expected. New batch of EphB4 neutralizing antibody received from pharma partner, facilitating the next series of therapeutic studies. 05/01/2014: Rh5 pilot tumor growth rate studies complete. Therapeutic studies to follow. 05/08/2014: Working with partner (Jax) to plan PCB380 (aRMS) patient-derived xenograft testing with the EphB4 neutralizing antibody. 05/08/2014: partnership experiment continues to be in preparation phase. 05/15/2014: no specific progress this week (still awaiting partner preparations). 05/21/2014: PCB00380 studies may begin in 1-2 weeks. Meanwhile, discussions with COG leaders this week indicate that phase I testing will be made much easier if we can demonstrate EphB4 blocking antibody activity in 2 or more additional pediatric cancers. This is fair. In an a related project, we have been examining osteosarcoma (very early studies) and neuroblastoma is a possible other cancer to consider. 05/29/2014: no new news to report. 06/06/2014: We are happy to welcome our Summer student Renae to the lab. Renae will be assisting Jinu in our EphB4 RMS studies. Meanwhile, PCB00380 experiments are about to commence. It will take ~6 weeks for these tumors to arise, and will reach the size for treatment to begin in 12-16 weeks. 06/12/2014: still awaiting tumor formation. interestingly, our Summer student Teagan has found both EphB4 and EphrinB2 expression in canine osteosarcoma. There are a lot of other studies to consider, but companion pet cancer patients often can be the first to receive a treatment on its way to pediatric cancer trials. more to follow on this very early observation. 06/26/2014: parallel studies are now ongoing to explore human osteosarcoma expression of EphB4 and EphrinB2. We're still awaiting tumor growth of the alveolar rhabdomyosarcoma mice. 07/18/2014: still awaiting tumor growth. 07/26/2014: still no growth of tumors implanted in June. Considering parallel model intiation. 08/08/2014: patient-derived human xenograft (PDX) models are slow to grow! We will start xenograft studies using human aRMS cell lines in the coming weeks: results from the PDX and orthotopic cell line xenografts should both be completed by November/December. 09/11/2014: awaiting tumor growth. have been invited to present the data thus far to a cooperative sarcoma clinical trials group on October 7 in Gaithersburg. Parallel studies of EphB4 as a therapeutic target in osteosarcoma continue to look promising. 10/02/2014: we received as second batch of VasG3 antibody from the company, and have ordered a new set of mice for the Rh30 cell line xenograft studies. Still awaiting PDX tumor growth. 10/16/2014: new set of mice due in 2 weeks. Meanwhile, Jinu is gearing up to have enough cells (for this and another study). That's a lot of plates! 10/30/2014: All 25 mice have received Rh30 aRMS cells. We are waiting for the tumors to develop in these mice to start treatment with EphB4-antibody from Vasgene. 11/13/2014: For the Rh30 aRMS cell line studies, tumors in mice are palpable and the mice are being treated with the EphB4 antibody. For the PCB00380 patient-derived xenograft studies, we implanted 5 mice in June and another 5 in August. We are seeing tumor growth in the August batch. Both tumors are quite small. We might see the tumors reach a modest size in late December at which time we can split the tumor in order to generate the many-needed study mice. This model is slow, so EphB4 antibody dosing will probably begin in March and wrap up in May 2015. This is the nature of a more authentic patient-derived xenograft (PCB00380) versus the cell line xenografts with Rh30 (Rh30 was created way back in 1987... it's hard to say whether all of its biology is representative of the disease in 2014; however, for the field Rh30 is (unfortunately) still a standard model). 12/11/2014: Preclinical trial of Rh30 xenograft animals treated with VasG3 is now complete and under analysis. 02/04/2015: Still awaiting transfer of grant. Meanwhile for he PCB00380 patient-derived xenograft studies (aRMS model), tumors implanted in December are still too too small to begin treatment. 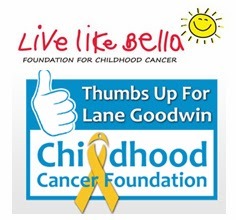 02/13/2015: Thank you, LiveLikeBella, for the funds to initiate the first half year's project! PCB00380 tumors large enough to begin treatment with VasG3. 02/18/2015: PCB00380 treatment studies ongoing. 02/27/2015: PCB00380 treatment studies still ongoing. 03/12/2015: For PCB00380 treatment studies, synchronous enrollment was done (treatment started on the same day for all tumors). Some tumors were smaller than others, and it appears that they were at different growth rates. To have more consistent data, we are going to repeat the experiment with asynchronous enrollment... that is, tumors of the same size begin treatment, even if different tumors begin treatment on different days. 03/25/2015: Repeat study of PCB00380 started (tumors innoculated). 04/08/2015: New supply of VasG3 received from the manufacturer; ready for repeat mouse study. 04/20/2015: Awaiting tumor growth in PCB00380 animals. 05/07/2015: repeat of VasG3 inPCB00380 is underway. 06/03/2015: pharmacodynamics of VasG3-treated Rh30 xenografts in progress. 06/17/2015: no growth so far for repeat of VasG3 inPCB00380. 06/03/2015: pharmacodynamics of VasG3-treated Rh30 xenografts is done. 07/15/2015: lung metastasis count of VasG3-treated Rh30 xenografts in progress. 07/28/2015: repeat of VasG3 inPCB00380 is nearly complete. lung metastasis count of VasG3-treated Rh30 xenografts is done. 08/05/2015: checking PDXs for best model to try VasG3 - other agent combinations. An exciting initiative from families of rhabdomyosarcoma patients has begun at http://focusonrhabdo.org/. 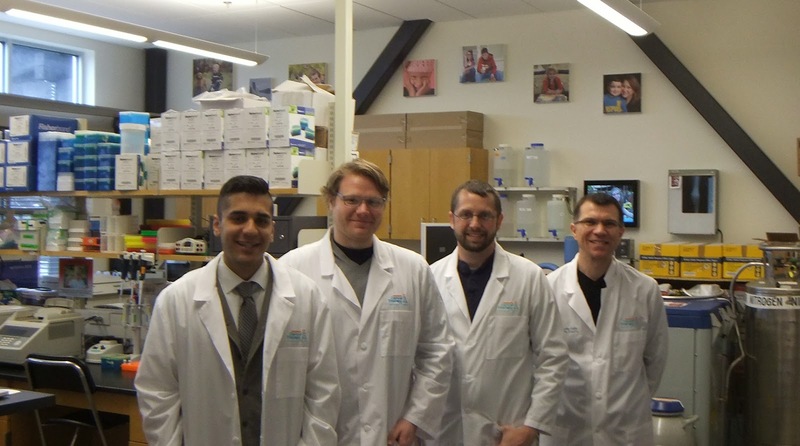 The group has the goal of making rhabdomyosarcoma a uniformly survivable disease with an improved quality of life. 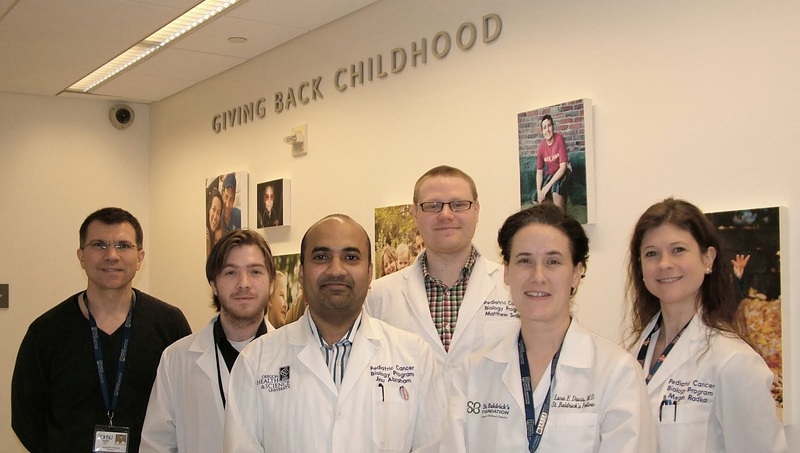 A great number of rhabdomyosarcoma researchers will provide support to this group, but the goals and mission are being set those who may know the disease best, the families.